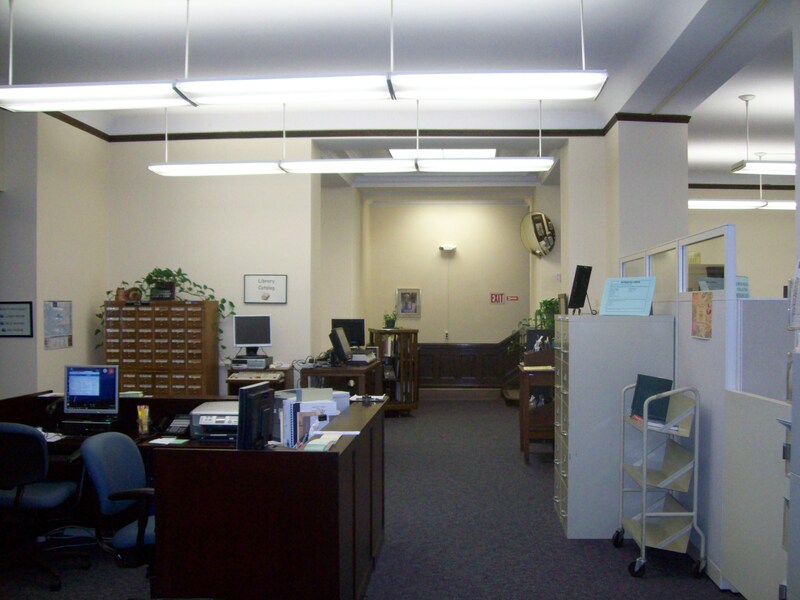 This guide is intended to give individuals interested in genealogical research an idea of the kinds of materials available in the Federal Document Collection at the Connecticut State Library. Our collection contains many resources that might be helpful. Below are a few examples of the types of resources that can be found in our collection. See also the Federal Depository Library Program's Guide to Genealogy Resources in Federal Records. Decorations, United States Army 1862-1926. (1927). War Department. Office of the Adjutant General. Includes a list of awards of the Congressional Medal of Honor, the Distinguished-Service Cross and the Distinguished-Service Medal awarded between 1862-1926. Medal of Honor Recipients, 1863 – 1978. (1979). U.S. Congress. Senate Committee on Veterans’ Affairs. Includes all recipients in all branches of the service (Army, Navy, Marine Corps, Air Force, and Coast Guard). Does not include the 910 names stricken from the Medal of Honor Roll by the Army Medal of Honor Board on February 15, 1917, under authority of section 122 of the Army Reorganization Act of June 3, 1916. Black Americans in Defense of Our Nation. (1991). Department of Defense. Office of the Deputy Assistant Secretary of Defense for Civilian Personnel Policy/Equal Opportunity. Includes listing of high ranking Black American officers in various branches of the armed forces, Black American recipients of the Medals of Honor (Civil War —Vietnam), and other records. Official Army National Guard Register. Department of Defense. Departments of the Army and the Air Force. National Guard Bureau. An alphabetical listing of all officers and warrant officers, active and inactive, of the National Guard of the U.S. 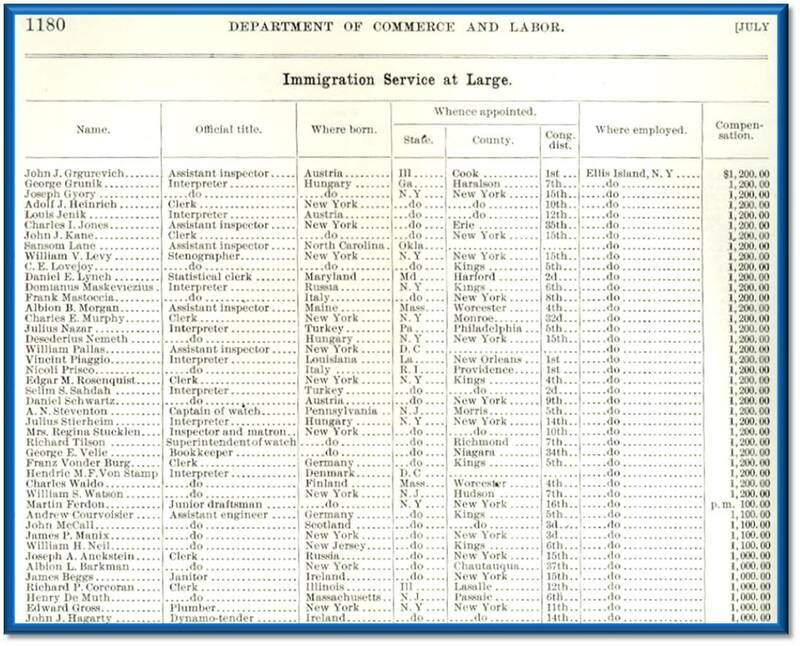 Lists include state, education, and date of birth for each name. CSL holds 1958-1968. Register of Commissioned and Warrant Officers of the United States Naval Reserve. Department of the Navy. Bureau of Naval Personnel. Lists name, rank, naval schools attended, date of precedence, year of birth, and pay entry base date for Naval Reserve commissioned and warrant officers, in alphabetical order. Scattered holdings. Black Americans in Congress, 1870 – 1989. (1990). House of Representatives. Office of the Historian. Bruce A. Ragsdale and Joel D. Treese. Includes the collected biographies of black Americans who served in the House and Senate. Provides an important perspective on the history of the Congress and the role of blacks in American politics. FBI National Academy Directory of Graduates. Department of Justice. Alphabetical roster of graduates; geographical roster of graduates; graduates from U.S. Territorial Possessions and other countries; roster of counselors; In Memoriam List (counselors). CSL holds 1990-2002. Official Register of the United States 1907: Vol. I, Directory. (1907). Department of Commerce. Bureau of the Census. Lists Civil, Military, and Naval Federal employees working for the legislative, executive, and judicial branches, independent government establishments, and territory and insular possessions. Lists name, organization, and position of “all persons in the service of the U.S. except for temporary employees and employees of the Postal Service. See librarian for additional years. Official Register of the United States 1907: Vol. II: The Postal Service. (1907). Department of Commerce. Bureau of the Census. 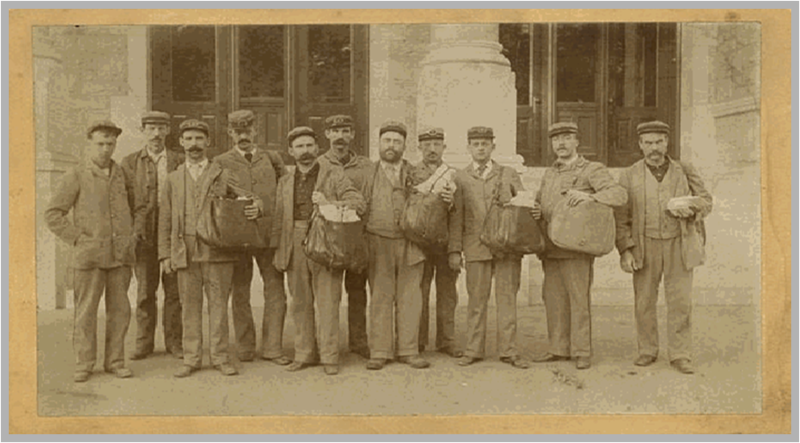 Includes the names of all postmasters, assistant postmasters, clerks, and city and rural carriers. See librarian for additional years. Annual Register of the United States Naval Academy. Dept. of Defense. Lists past superintendents, officers and civilian instructors, Midshipmen and Petty Officers, resignations, deaths and prizes and medals awarded. CSL holds 1949/50-1969/70. The Centennial of the United States Military Academy at West Point. 1802-1902. Contains a bibliography of the writings of the graduates, and a list of the graduates of the U.S. Military Academy, with year of graduation. Artificial limbs furnished to soldiers. United States. Surgeon-General's Office.(1866). Report includes a list of the manufacturers of limbs, as well as an alphabetical list of soldiers, detailing their rank, regiment and state, residence, limb, cost, date, and manufacturer. Les Combattants Francais de la Guerre Americaine, 1787-1783. 58th Congress, 2nd Session. 1905. Lists of names of French soldiers who fought on the American side in the Revolutionary War. Graves of About 3,000 Soldiers of the Revolution Located by the Various Chapters. (1915). U.S. Congress. (compiled by the Daughters of the American Revolution). Alphabetical list that provides date of birth, date of death, location of interment, and occasionally other information. Graves of Soldiers of the American Revolution Located from April 1, 1954, to April 1, 1955. (1955). U.S. Congress. (compiled by the Daughters of the American Revolution). Alphabetical list by state, providing date of birth, date of death, and location of interment. 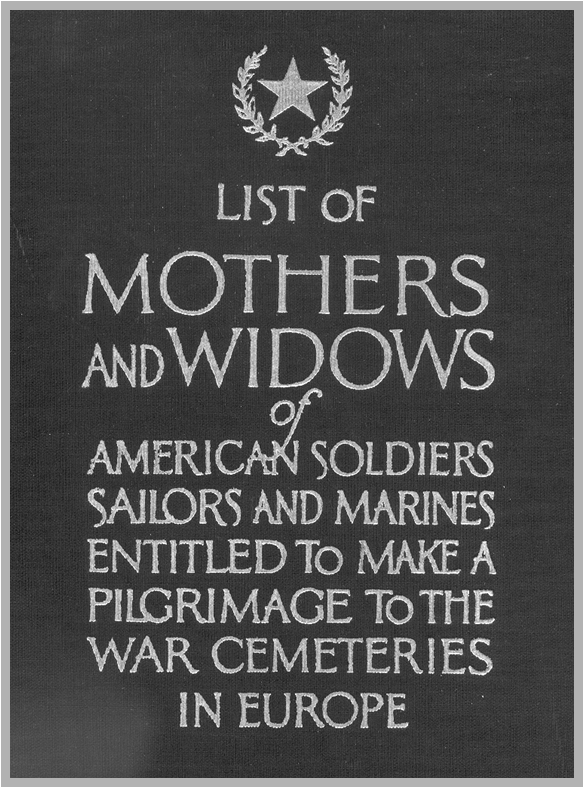 Pilgrimage for the Mothers and Widows of Soldiers, Sailors, and Marines of the American Forces Now Interred in the Cemeteries of Europe. (1930) U.S. Congress. War Department. Provides name and address of mother or widow of deceased serviceman, relationship to deceased, name of deceased, rank, organization, and foreign cemetery where deceased is interred.